Interior Minister Kai Mykkänen says work may be the best way to learn the language and integrate into Finnish society. 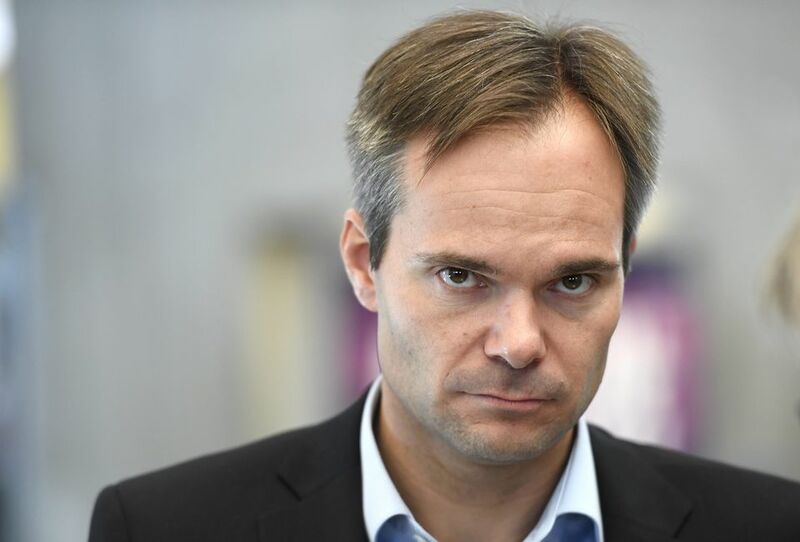 Interior Minister Kai Mykkänen said on Yle’s Aamu-TV programme on Friday that asylum seekers should be required to apply for and accept work. According to Mykkänen, for those asylum seekers who have received a residence permit, employment could be the best way to learn the language and integrate into the society. The National Coalition Party politician said at the moment only two percent of asylum seekers join the workforce after their initial integration period ends. One in five asylum seekers learns Finnish or Swedish at a level required for vocational schooling, Mykkänen added. "I’m interested in the Danish model, where the expectation is that asylum seekers look for and take on work as soon as they’ve received a residence permit," he said. "We could pay a subsidy to an employer to lower the threshold for giving work to people," Mykkänen added. "While some asylum seekers are keen and suited to studying, they are nonetheless a minority. I believe we should shift our focus to work, that would be the right direction," he said. Mykkänen also commented on the Finnish Immigration Service’s (Migri) decision to update its repatriation policy on Afghan asylum seekers. Migri announced on Wednesday that because of the large number of internal refugees in the capital, it would no longer require families with children to attempt to relocate to Kabul to escape persecution. Repatriations of healthy, working-age men and childless couples would however continue on a case-by-case basis as usual, according to Migri. "Migri uses criteria that have been internationally agreed-upon to assess the level of danger. Understandably, this is extremely difficult because compared with Finland all of the Middle East is a more dangerous place to live," Mykkänen said. "However, this cannot mean that all the people in the Middle East or North Africa can get asylum in Finland, for example," he added. Last month, Mykkänen announced his ministry would commission an independent study of Migri. On Friday morning, he said the investigation would focus on what the government can learn from a situation where the number of asylum seekers grows rapidly while at the same time guaranteeing the rule of law for all.